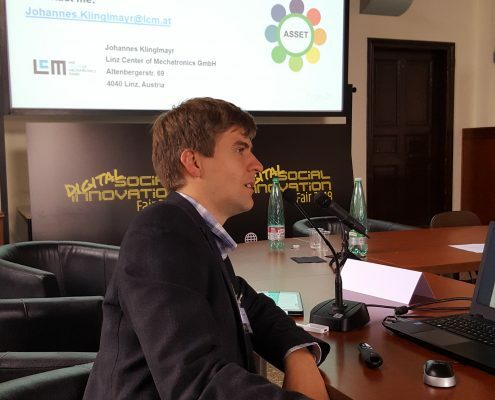 The workshop took place as part of DSI Fair 2018 (6-7 June). 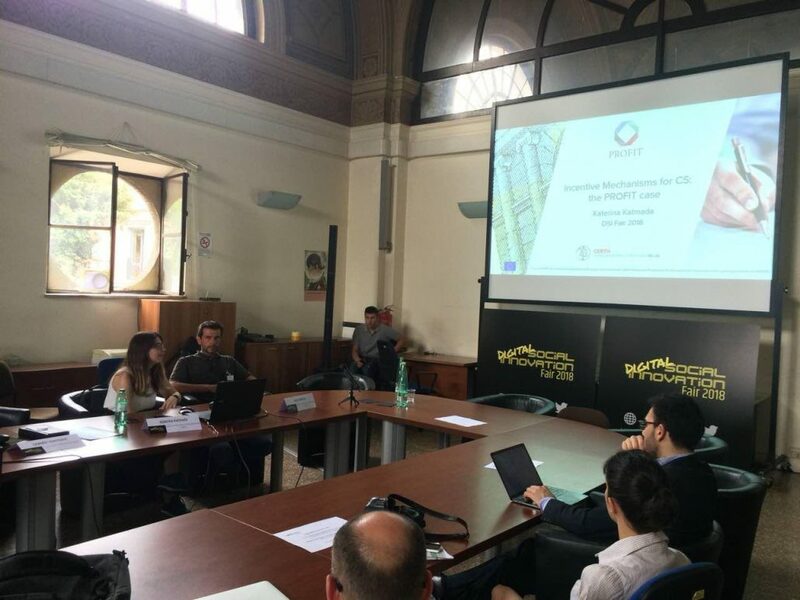 It commenced with a short introduction of the PROFIT (Promoting Financial Awareness & Stability) project by Sotiris Diplaris (CERTH, Greece). 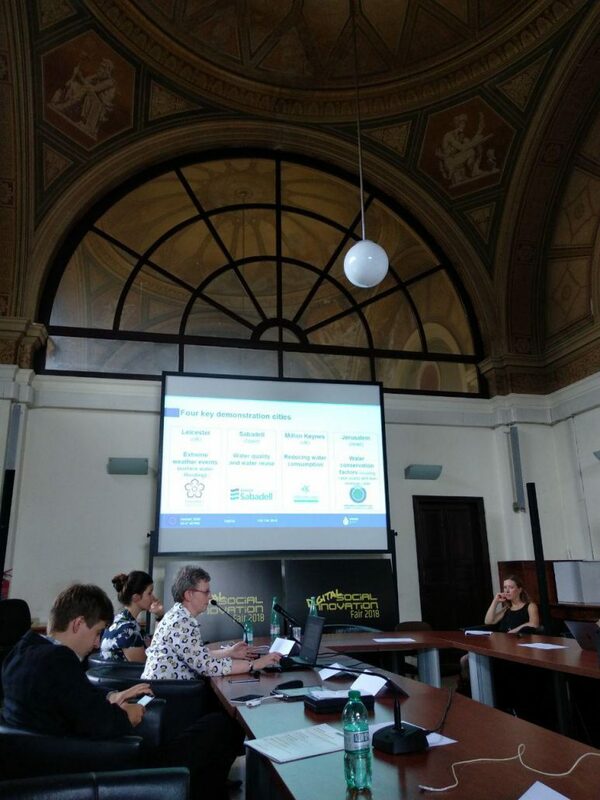 Afterwards, Katerina Katmada (CERTH, Greece) presented the incentive mechanisms that were taken into consideration for the design of the PROFIT web platform (e.g. social incentives, reputation system, rewards, etc. ), in order to sustain user engagement. A short walkthrough of the PROFIT web platform followed. Its main features (i.e. 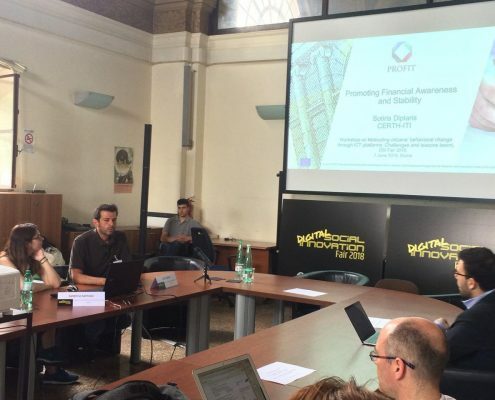 financial literacy toolkit, forecasting/sentiment tools, polls, harvested articles, personalised recommendations) were presented to the audience. 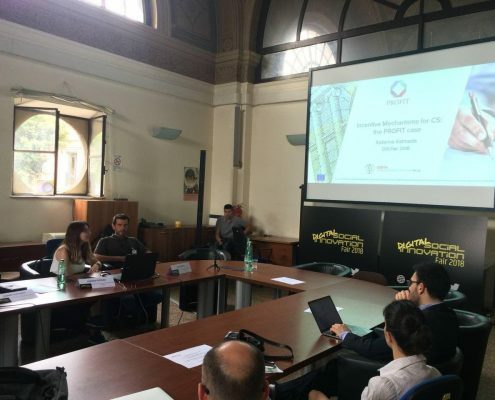 The participants were encouraged to ask questions about the project. Their questions were mainly focused on our future exploitation plans, the ethical issues that may arise from a potential misuse of the platform, the financial literacy ‘agenda’ followed for the courses, etc. 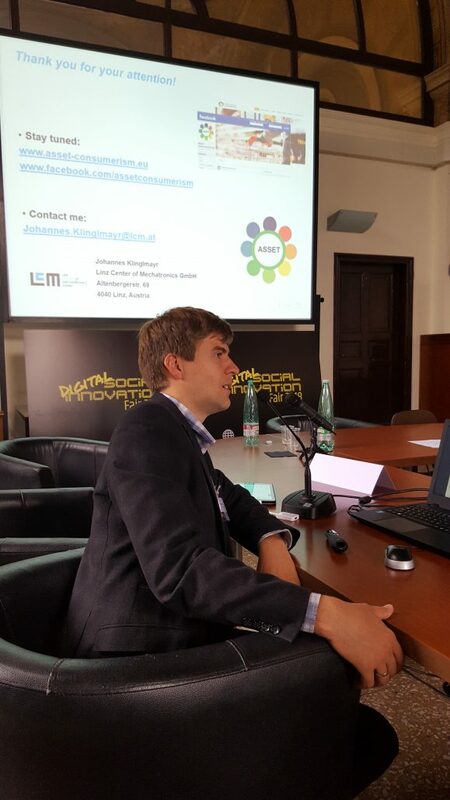 Afterwards, Leander Hoermann (Linz Center of Mechatronics, Austria) presented the ASSET (Instant Gratification for Collective Awareness and Sustainable Consumerism) project. The presentation was focused on whether personalized product information can change purchasing behaviour. 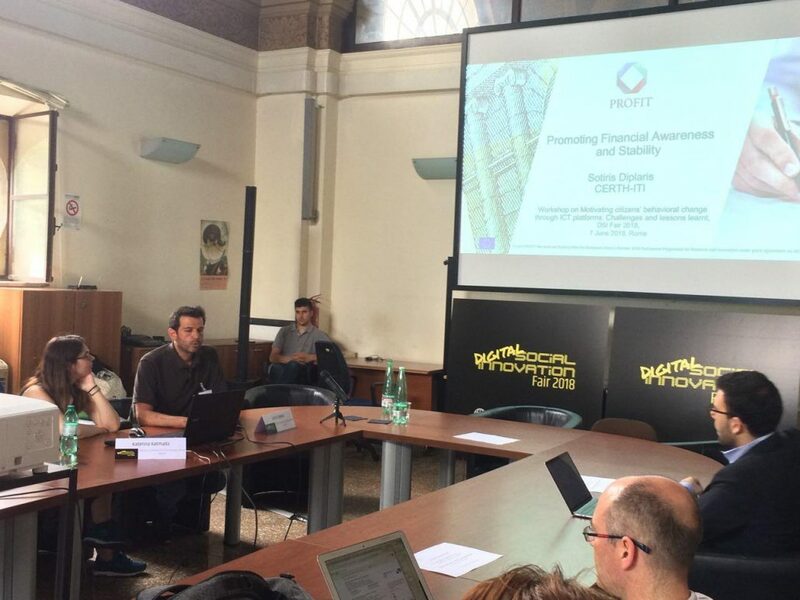 Afterwards, the ASSET demo application was also demonstrated and questions from the audience were answered. 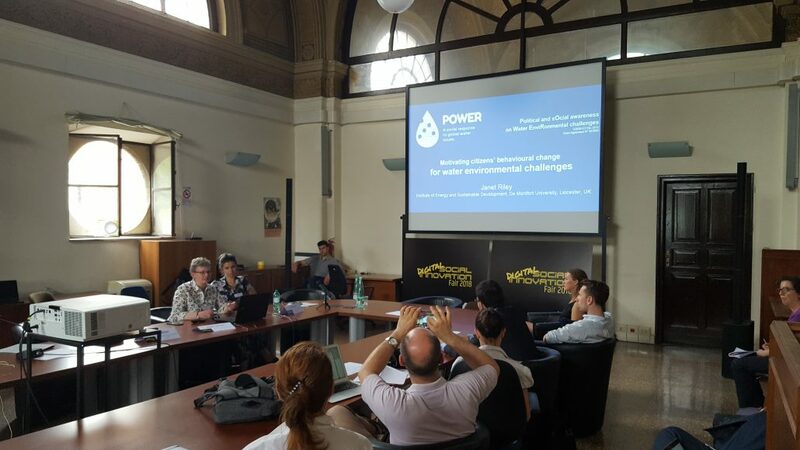 Finally, Janet Riley from the Institute of Energy and Sustainable Development, De Montfort University (UK) presented the POWER H2020 (Political and social awareness on water environmental challenges) project and its goals. 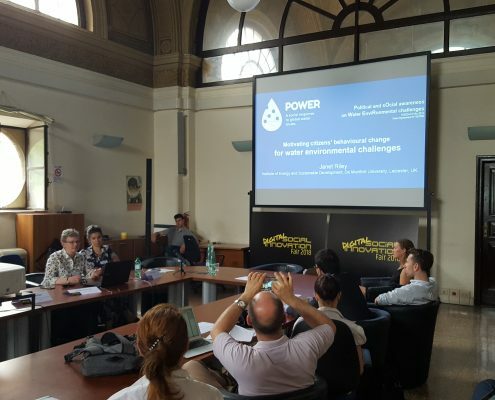 Among other, POWER H2020 aims at (a) setting up a direct participatory process with citizens, professionals and politicians; (b) facilitating the sharing of knowledge and best practices in open consultation via local digital water communities; and (c) mobilising social actions to respond to climate change. 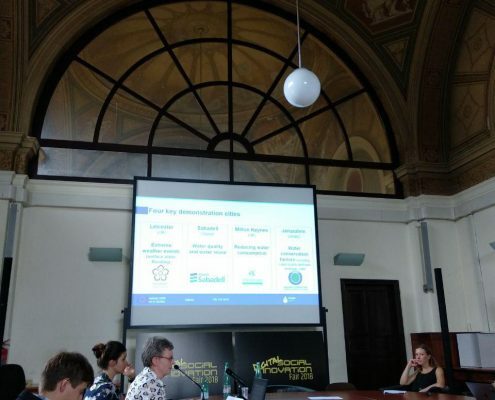 Afterwards, Monica Pianosi described the various challenges in regard to encouraging active citizen participation they met so far, and how these challenges were addressed. You can find more info at https://dsifair.eu/.